Canon announced the Canon EF-S 24mm f/2.8 STM 'Pancake' Lens on 15 September 2014. 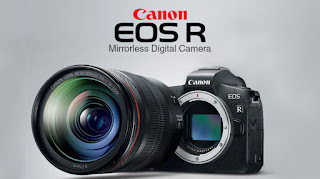 Official Canon EF-S 55-250mm IS STM Lens Press Release. 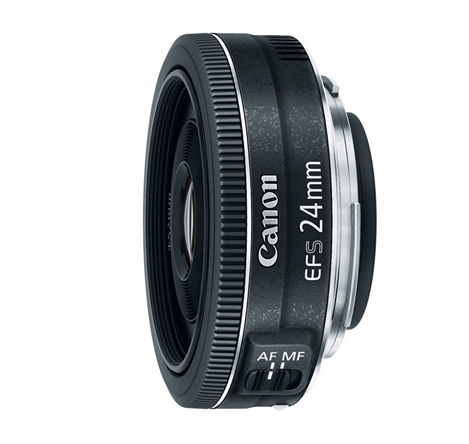 The affordable EF-S 24mm f/2.8 STM lens is the slimmest and lightest Canon EF-S lens ever produced. This compact, lightweight wide-angle "pancake" style lens features STM technology and was developed for photographers and videographers who are aiming to capture bright, clear images with beautiful softly blurred backgrounds at a fixed focal length. The EF-S 24mm f/2.8 STM lens features an aspheric lens element and the optimized lens arrangement and coating helps to minimize ghosting and flare while delivering excellent image quality. The seven bladed aperture delivers beautiful, soft backgrounds, while the Electro-Magnetic Drive aperture mechanism uses a micro-stepping driver control for quieter operation, especially useful when shooting video. (Source: Canon USA).